This statistic shows the results of a 2013 survey regarding the locations where U.S. consumers made their most recent CE purchase in the past year. 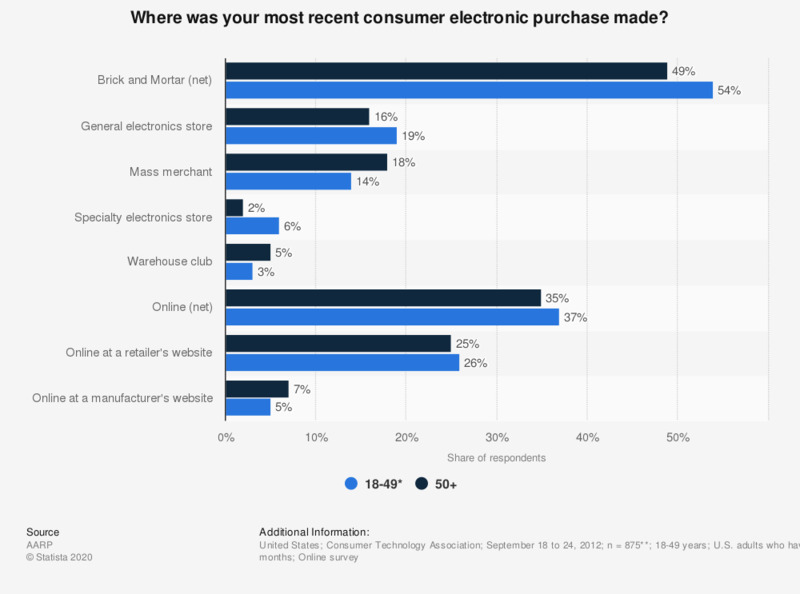 The survey revealed that 14 percent of the respondents between the ages of 18-49 purchased consumer electronic products at a mass merchant within the past year. ** Ages 18-49 (533); Ages 50+ (342).